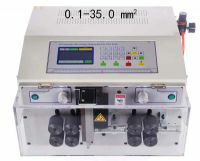 ﻿ Coaxial cable wire stripping machine WPM-6806 - XIAMEN JINGWEI TECHNOLOGY CO.,LTD. 1. 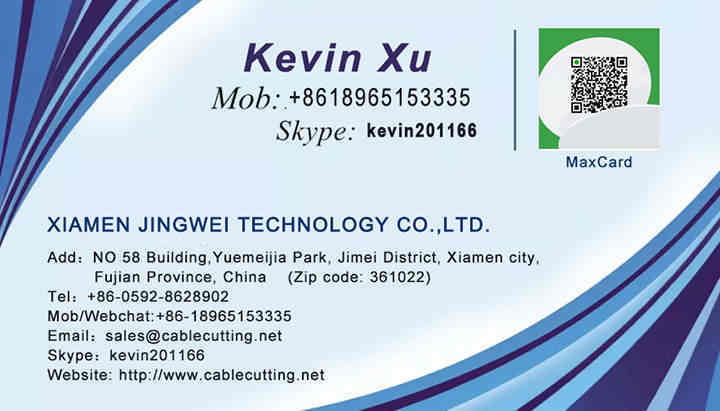 Suitable for different types of semi-flexible and flexible coaxial wires, charging cables, medical wires' processing in communication and medical industry. Stripping edge smooth and no harm to the conductor. 2. Huma-computer interface, easy to operate and understand, Max. 9 layers of stripping and 99 sets of memory function. 3. Rotation blades head, four pieces of exquisitely designed blades improve stripping stability and blades' lifetime. 4. 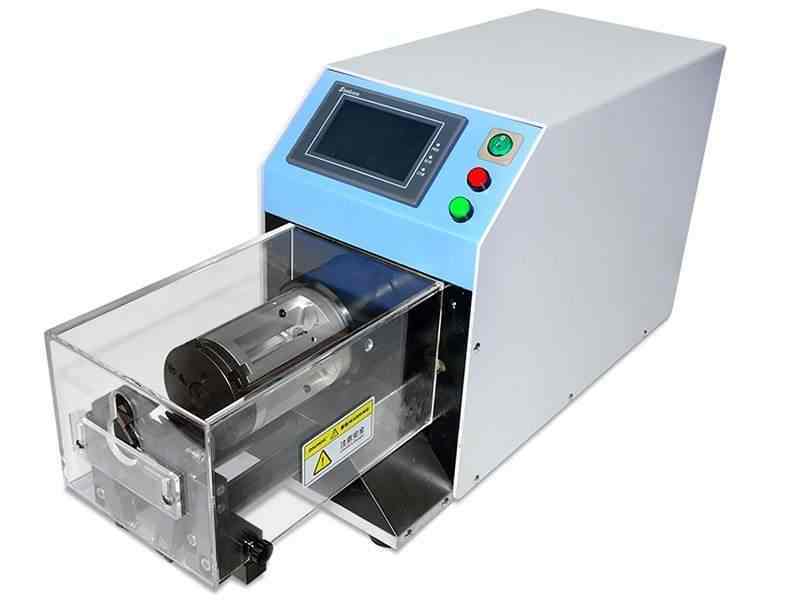 Adopt servo-motor, precision ball screw and multi-point movement control system, working performance is stable and efficient. 5. Blades are made of imported tungsten steel and titanium alloy coating. sharp and durable. 6. This machine can meet multi-section stripping, stripping & twisting, automatic start in succession and other special requirements. 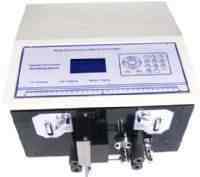 Clip wire device Automatically adjust core, the dynamo drives and clip tight strength process control.